Catherine the Great's bow necklace isn't the only sparkling wonder being auctioned at Sotheby's next month. 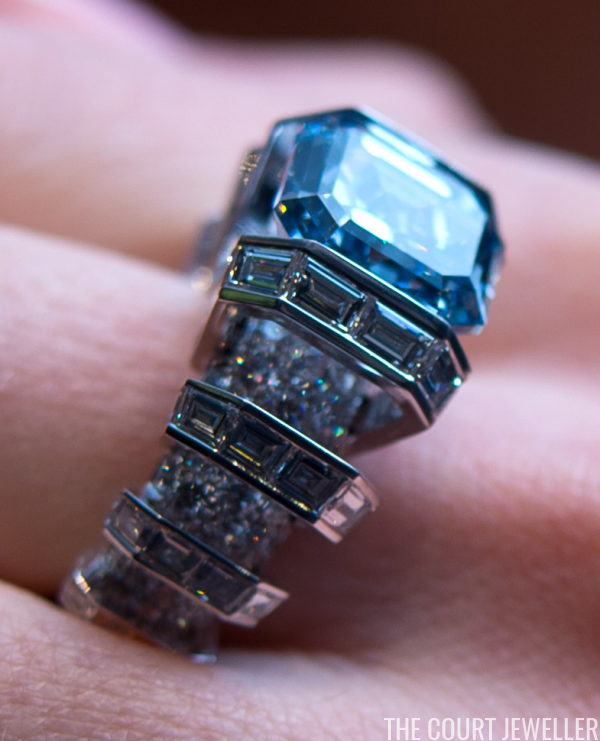 The auction house will also offer the Sky Blue Diamond, an incredible gemstone set in a strange and compelling ring. The bauble may not have a royal provenance, but it's certainly fit for a queen. 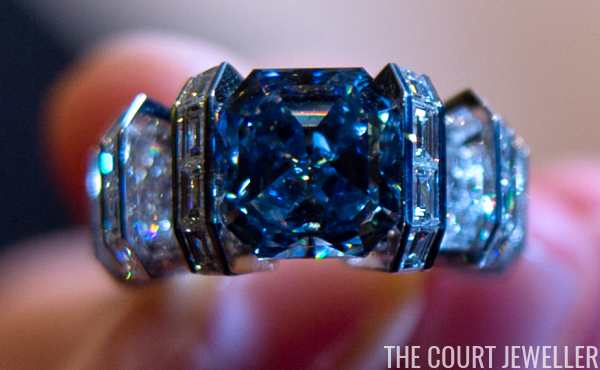 The diamond is a marvel: it weighs 8.01 carats, and its color has been determined to be "fancy vivid blue." David Bennett, chairman of Sotheby's International Jewelry Division, describes the diamond: "The Sky Blue Diamond is of a wonderfully clear celestial blue, presented in an extremely elegant square emerald cut – in my view, the most flattering of all the cuts for a coloured diamond. This important gem will, I am sure, captivate all collectors of exceptional gemstones." 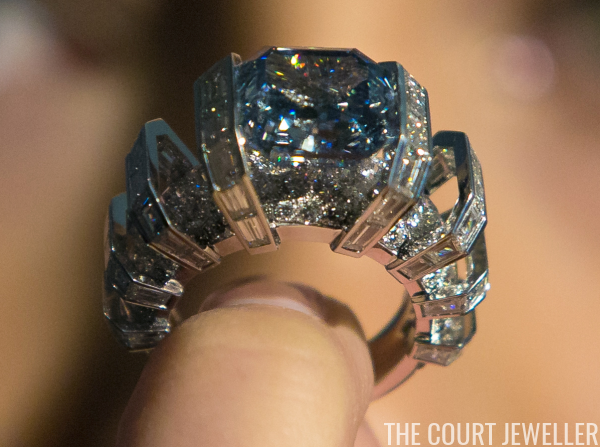 The unusual setting in which the Sky Blue has been placed was created by Cartier. 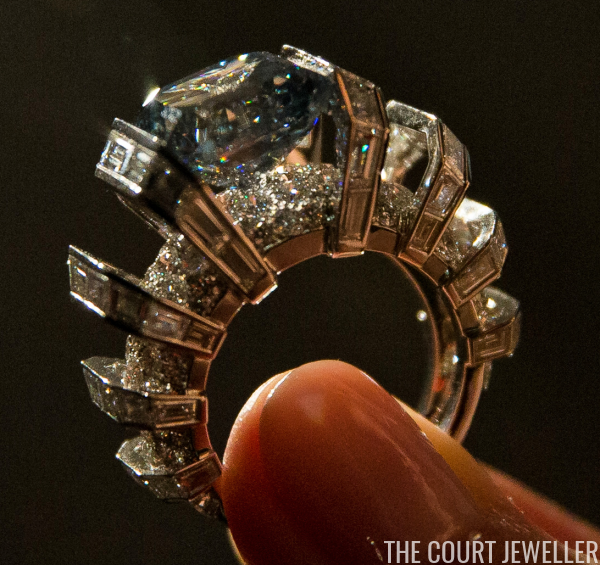 The baguette-set elements that surround the blue diamond are a little spidery for my taste, but it's certainly innovative and eye-catching. Several major blue diamonds have been auctioned at Sotheby's in recent years, all of them fetching enormous sums of money. The auction estimate for this piece is equally staggering: $15-25 million.